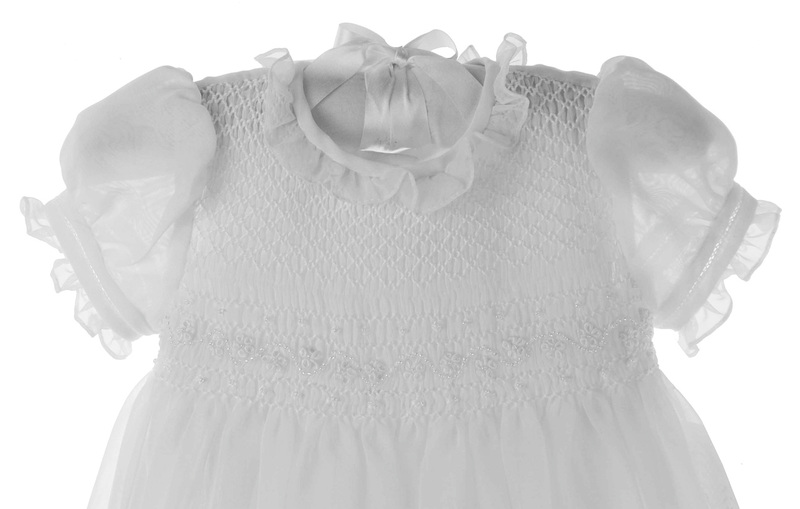 This gorgeous long white poly tulle christening gown is made by Sarah Louise, a top designer British designer of beautifully detailed baby garments for more than 20 years. 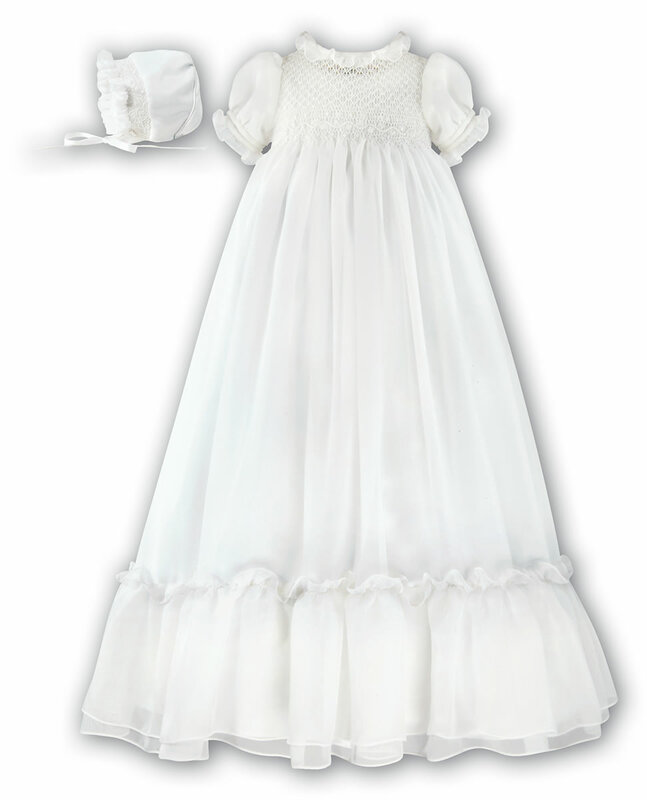 It features a fully smocked yoke accented with embroidery and tiny seed pearls with satin ribbon bows at the sides. 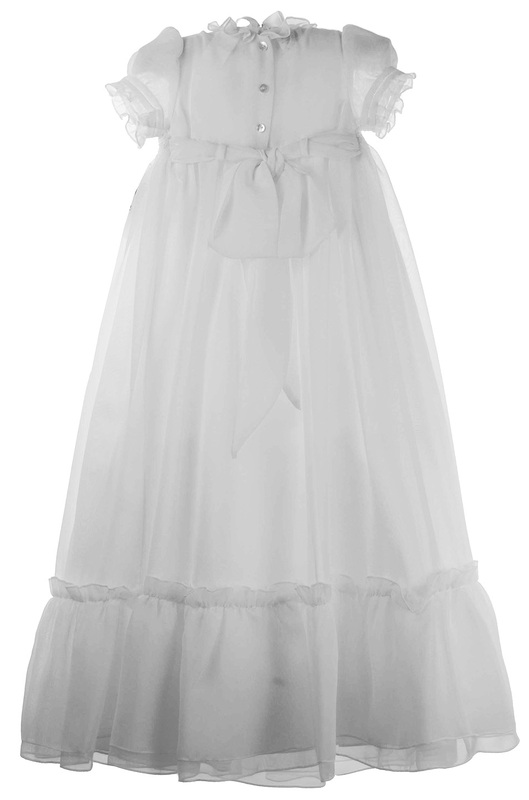 It has a lace trimmed collar and short puffed sleeves finished with satin trim. The very full skirt is accented with rows of lace insertion accented with seed pearls. 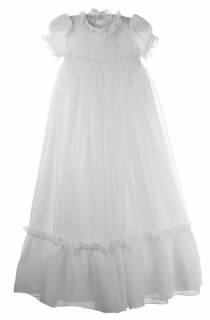 The gown has an attached crinoline slip for added fullness lined with soft fabric so that nothing scratchy touches baby and closes in the back with 3 small buttons. 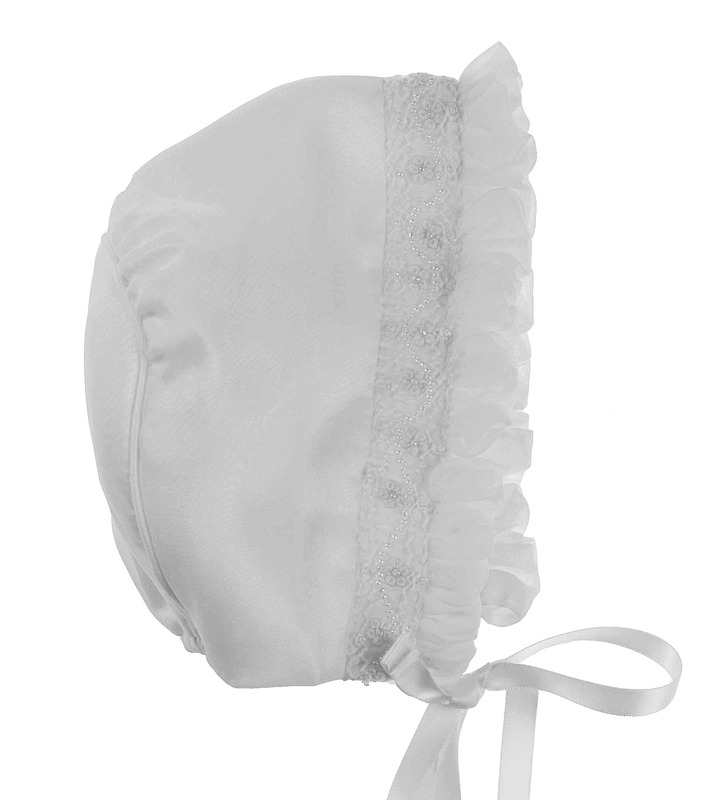 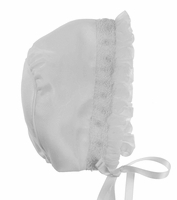 A sweet matching bonnet trimmed with lace insertion and tiny seed pearls is included. A beautiful christening gown for a very special baby girl!